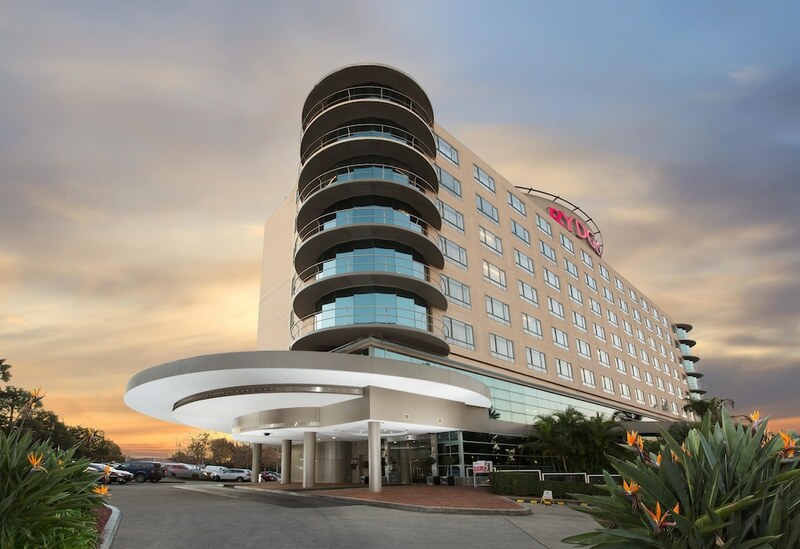 Located in Rosehill, Rydges Parramatta is in the business district, within a 10-minute drive of Sydney Speedway and University of Western Sydney Parramatta Campus. This 4-star hotel is 1.5 mi (2.5 km) from Westfield Parramatta Shopping Centre and 2.1 mi (3.4 km) from Rosehill Gardens Racecourse. Make yourself at home in one of the 151 air-conditioned rooms featuring refrigerators and flat-screen televisions. Complimentary wireless Internet access keeps you connected, and cable programming is available for your entertainment. Bathrooms have complimentary toiletries and hair dryers. Conveniences include phones, as well as desks and minibars. Enjoy a range of recreational amenities, including an indoor pool, a spa tub, and a sauna. This hotel also features complimentary wireless Internet access, wedding services, and a television in a common area. Grab a bite at Stock Cafe, one of the hotel's 2 restaurants, or stay in and take advantage of the 24-hour room service. Relax with a refreshing drink at one of the 3 bars/lounges. Full breakfasts are available daily from 6:30 AM to 9:30 AM for a fee. In addition to an indoor pool, Rydges Parramatta provides a spa tub, a sauna, and a fitness center. Dining is available at one of the hotel's 2 restaurants. Guests can unwind with a drink at one of the hotel's 3 bars/lounges. Public areas are equipped with complimentary wireless Internet access. This business-friendly hotel also offers complimentary newspapers in the lobby, laundry facilities, and dry cleaning/laundry services. For a surcharge, a roundtrip airport shuttle (available 24 hours) is offered to guests. Complimentary self parking is available on site. Rydges Parramatta is a smoke-free property. Full breakfasts are available for a surcharge and are served each morning between 6:30 AM and 9:30 AM. Stock Cafe - This restaurant serves breakfast, lunch, and dinner. Open daily. Steeds Club Grill and Bar - This restaurant specializes in seafood and serves dinner only. Guests can enjoy drinks at the bar. Reservations are required. Open select days.